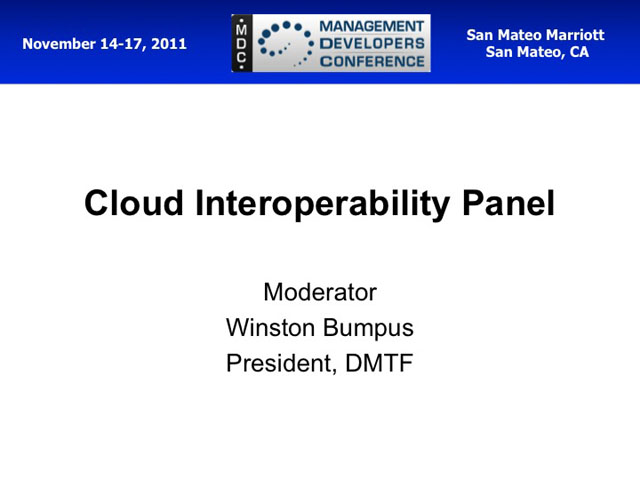 This panel will address management scenarios for interoperability among cloud consumers and providers. -Which cloud interoperability actors and scenarios will become important in the next few years? -What will be the requirements for cloud interfaces in response to these scenarios? -What could prevent clouds from being open and interoperable?